Resources > Home Services > How Much Do Home Packing Services Cost? Moving between homes can be a tedious task. Packing and unpacking your belongings can consume a lot of time, and if not done properly can result in irreparable damage to your home or things. Hiring a service to help you with packing can save valuable hours better spent on the many other tasks involved in moving. 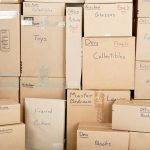 Homeowners should decide on the list of items that need to be packed and review the costs for packing and unpacking services depending on several factors. This chart should give you a rough idea of the cost for packing services depending on the weight of your belongings, number of packers required, and the time it will take to complete the work. Packing & Unpacking service rates are usually fixed, but may tend to vary depending on several reasons. Discussed below are the major factors that will influence the service rate. As mentioned earlier, packing rates are generally fixed and charged by the hour. If you choose to have your entire house packed, it could take up to a day, depending on the size and number of items in your house. The packing cost increases correspondingly as the time taken for packing becomes longer. Cost to hire a professional packer is $50 per hour, on average. The same stands true for unpacking your belongings in your new home. If you are looking to have your entire home moved, you will be charged this hourly rate. Packers usually charge fixed rates based on the weight of your belongings. In this regard, the packing services cost is directly proportionate to the number of items to be packed. The shape and size of the items to be packed can affect your final packing budget. Oddly-shaped items will require more expertise and thus will increase the packing price. Also, most furniture and electronic items are heavier and require excessive effort to pack. During the packing of heavier and larger household items, more packing experts are required, raising your per-hour packing estimate. 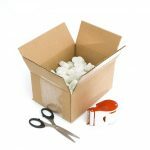 Packing companies may or may not include the cost of packing supplies when they give you a quote for a full packing service. Either way, you need to understand that different items need diverse types of supplies. For instance, fragile items need special padded packing materials. For other oddly-shaped items, custom crates might be necessary. Taking into consideration the type & quantity of material needed for packing, the estimate will differ. On an average, for a family of four living in a 3-bedroom house, the following boxes & supplies are likely required. Need to find a pro for your Packing and Unpacking Project? Most homeowners choose to pack their own goods, but are helpless when it comes to certain household items. The need to hire a packer becomes integral when you fear for the safety of valuable or fragile items, for there is always a chance of them getting damaged while moving. These belongings call for the need to hire professional packers before moving. Most people hire packers for furniture packing due to their enormous size and the necessity to protect them from scratches or dents. 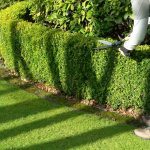 Doing this task yourself is physically draining, and can take up a lot of man-hours. Valuable antiques that need to be preserved should be packed professionally. 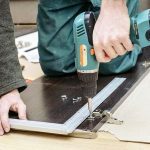 If you are worried about packing expenses, keep in mind that there is always a chance of improperly packed items breaking due to negligence on the part of the movers, or even yourself, thereby costing you even more in furniture repairs. Most electronic household items like televisions, computers, and refrigerators have fragile parts that can break or crack at the slightest of contact with hard surface. This is where the experience of a professional packing service comes in handy. Their proficient use of materials and competent packing methods ensure that there is no damage inflicted on your electronic appliances while moving. Homeowners are usually worried about kitchenware and the need to transport it safely to the new location. Most items which fall under this category are delicate and prone to breakage. Experienced packing contractors identify china, ceramic, glass, and other frail materials that need special care and ensure suitable packing materials are used for the safety of the items. Professional packers are responsible for packing (and, if requested, unpacking) belongings that need to be moved from one location to another. Packers are skilled in their trade with vast experience in packing all types of goods. They understand the value of your belongings, both monetary and sentimental, and take care to ensure the safety of your products. The first step a packer will take when hired is to evaluate your belongings thorough, asses the state of your items, and choosing appropriate materials for packing. With a professional, you can expect them to take care of wrapping, boxing, and other packing and unpacking services. In looking to save money on your move, you shouldn’t neglect the safety issues that could result in damaged goods. Hiring a packer saves in time, and ensures the safety of your valuables. After a tired and hectic move, how great would it feel if you had someone at your disposal to unpack your goods and help you settle into your new home? This is where unpacking companies come in handy with expertise and time. This is an important question that needs answering since most people grossly underestimate the value an unpacker can provide. It’s not just about unwrapping and unboxing. They can also help you declutter your mess and organize your things. Unpackers help you transform your house to a home within a day. Why Hire A Professional Unpacker? Unpacking services offer you the option to unpack your belongings the way you want. They clean up all the mess after unpacking in your new home. You know that your belongings are in safe hands as unpacking professionals are experienced and adept at handling heavy and fragile items. 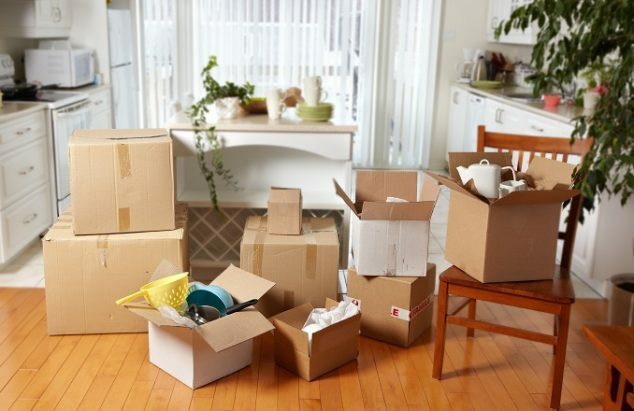 If you feel that your boxes/belongings wouldn’t fit into your new home, unpackers have the expertise to plan and make sure that all your things are arranged and fit into your home neatly. Packing and unpacking services are usually handled by moving contractors, and often rolled into the overall cost to move. But if need be, professionals offer these as individual services as well. Make sure you’ve identified the items you need packed/unpacked, and agree on the terms of service before hiring a contractor. 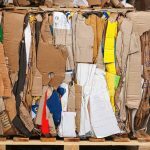 Why Hire a Box Recycling & Pick Up Service? Our Packing and Unpacking Services are now open. Click on this link and answer the questions provided to be connected with a professional for an accurate quote and to set a date for the service.